Step back in time and discover the beauty of a medieval-inspired Christmas at our recreated townhouse, Barley Hall, located right in the heart of the city of York. We have two special packages on offer that are sure to fill your guests with festive cheer! From a drinks and canapé reception to a sumptuous banquet in the Great Hall there is certainly something different on offer to entertain you and your friends this Christmas. Barley Hall is a stunning medieval townhouse, once home to the Priors of Nostell and a Lord Mayor of York, and now you are invited to make yourself at home in this lavish and unique setting for truly special events in this intimate venue. 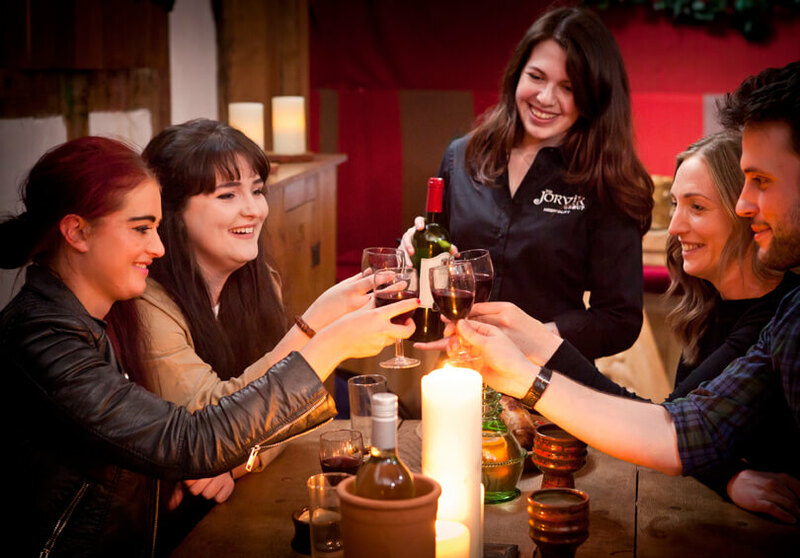 With packages starting from just £40 per person, including welcome drinks, exclusive access to the 14th century Hall and your own personal hospitality co-ordinator to take you through from booking to delivering the event. You are assured peace of mind while organising the perfect Christmas celebration with us. eventsandhospitality@yorkat.co.uk and a member of the team will be back in touch as soon as possible.